Nazlı Erdoğan started the violin at the age of five in her home town Ankara. She attended the Charles de Gaulle international school alongside the Saturday college programme of Bilkent Conservatory. She gave her first major concert aged 10 in Istanbul at the Atatürk Kültür Merkezi (Ataturk Culture Centre) where she performed as a solo classical violinist and jazz singer with the Istanbul Symphony Orchestra. 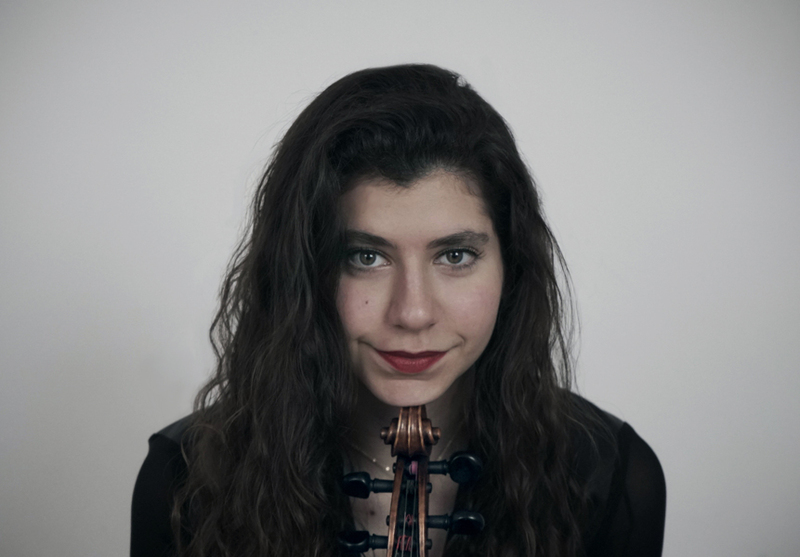 Nazlı’s true commitment to her musical studies began at the age of 12 when she was given a place at The Yehudi Menuhin School where she started with Professor Loustia Ibragimova. She performed as a soloist in a number of internal and external concerts organised by the school, in the Menuhin Hall and in various other venues in Surrey. Throughout her time at the school she was not only limited with solo studies but also took weekly chamber music coaching from Ioan Davies, regular improvisation master classes from David Dolan and a master class with The Wihan Quartet. As it was a requirement of the school for all violinists to play the viola as well, she was handed her first viola at the age of 15 to play in Schubert’s G minor quartet. 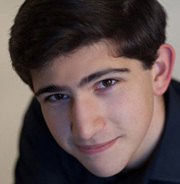 She was also mainly a viola player in the Menuhin School Orchestra, directed by Malcolm Singer, where she took part in master classes given by Simone Fontenelli and Heinrich Schiff. She performed as a member of the orchestra in the school’s Summer Orchestral Concerts, Menuhin Festival in Gstaad, Reims Cathedral, Thaxted Music Festival, Banstead, Leamington Hastings and Menuhin Competition in Beijing. 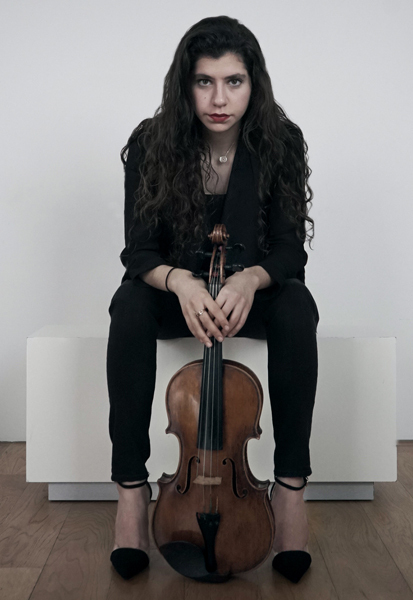 She took the decision 2 years before her graduation to make a permanent switch to the viola, continued her studies with Professor Claire Telford, and became the principal viola player of the YMS Senior orchestra. She appeared as a soloist in the Menuhin Hall Christmas Concert with the Senior Orchestra, The Forbidden City Hall in Beijing (as part of the events organised by the Menuhin Competition), the Brighton Dome with the Brighton Symphony Orchestra, and the Wigmore Hall with the YMS Ensemble. 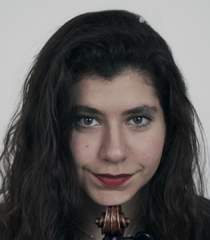 Nazli is currently a first year Bachelor of Music (Honours) Viola student and a Dr Knobel Scholar supported by a Musicians’ Company Lambert Studentship at the Royal College of Music where she studies with Professor Andriy Viytovych.